After a quick review with Major Goodson and the other officers this evening we are having to make some urgent changes to our donations structure. Short version - Our costs are higher than we thought given some key changes we made at the end of 2017. However despite the fact I deal with Foreign currency in RL(!) I'd neglected to take account of the significant impact the Euro/Sterling Exchange rate had had on the cost base. 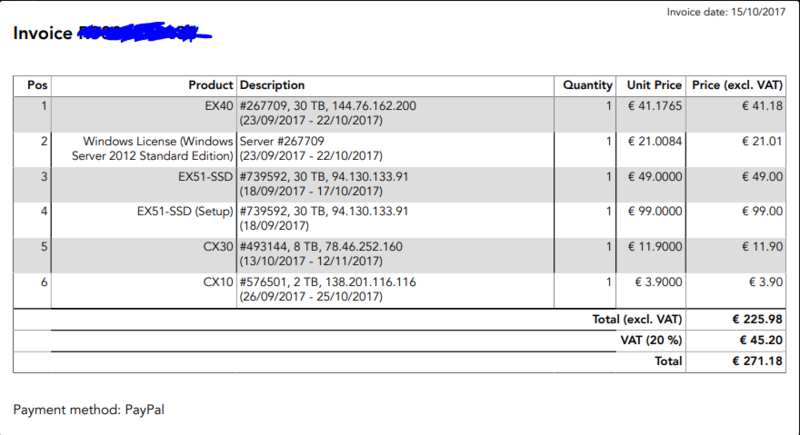 Just so we can be completely transparent here are some of the invoices for the servers we run. Our normal costs used to be covered by about £60 per month. Our new invoices for the 3 boxes we use for Repo, Game & Ocap are €77 per month currently. Plus a one off hit each Jan of about £112 for the TS license. When will we be making a change? We've done the math and as of tonight we'd spent all our 3CB monies and were in a negative balance. Goodson has stepped in and kindly covered the shortfall for the March bill - £20. We will therefore be adjusting the donations page to represent a more realistic cost figure to keep us running each month as of this evening (or whenever we can find ReV to change the page). As of right now this months donations stands at £55 so we're still a little short of our target. If anyone has any questions please ask one of us. Thanks for your continued support - and have fun ! Just want to say thanks so much to everyone that's just donated, and of course to everyone who's donated in the past! It's great to see such a positive response. Your support has kept 3CB running month after month since it's founding in 2012. Thanks all for the overwhelming response. We had hoped to be able to cover off the April bill without having to borrow from bank of Goodson.. as it is we have some security now moving into may and june... Thanks guys. Incredibly impressed with the response to this! It should secure us a comfortable buffer - and allow Tap to combine repos onto a bigger better box too I imagine. Thanks again guys, remember we only need a small donation, little and often is the key.